Rent Ramscale Studio | Corporate Events | Wedding Locations, Event Spaces and Party Venues. 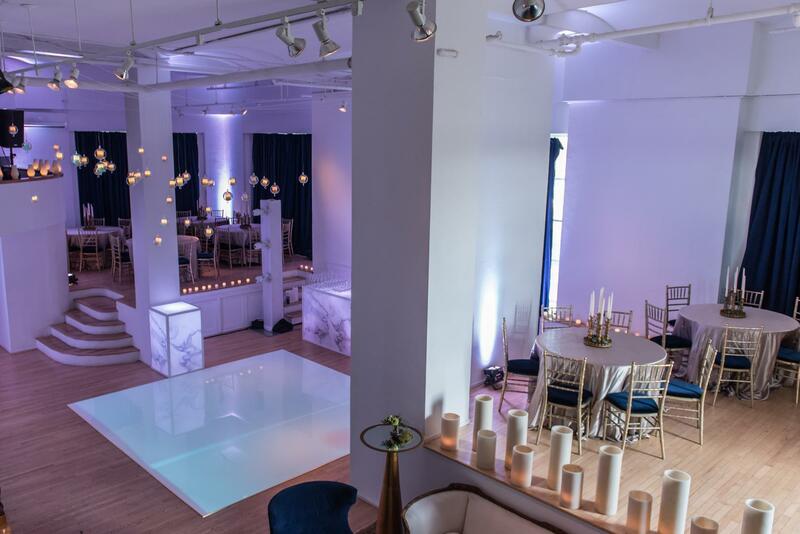 Ramscale studio is a private penthouse loft perfect for an intimate weddings and social gatherings, corporate and press events, film and photo shoots. A 3,500 SF penthouse loft in the Landmark Westbeth Building, the studio is the former location of the Bell Laboratories in the West Village. Natural sunlight floods the studio during the day. See breathtaking views sweeping from the Empire State Building down to One World Trade, the New York Harbor and Statue of Liberty with a 1,000 SF terrace overlooking the Hudson River. By night, the city skyline provides an iconic NYC backdrop. Our minimal design and unique architecture allow each client to create a unique atmosphere for any event. Our space is ideal for corporate events, product launches, presentations, cocktail and social events, weddings and photo/film shoots. Terrace, bar and conference room furniture are included. Additional furniture and AV are available on request.